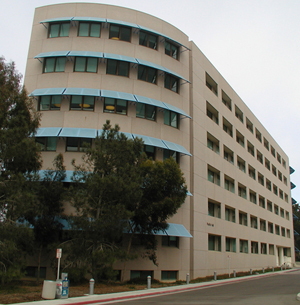 This is the official home of the Department of Chemistry and Biochemistry NMR Facility. Our primary focus is to provide UCSD researchers and external users with access to NMR services and state of the art NMR equipment. 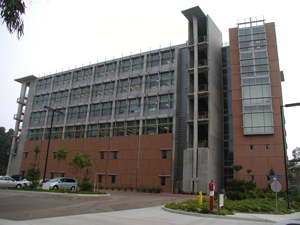 The facility is subdivided into two centers: the Chemistry NMR facility, located in Pacific Hall, and the Biomolecular NMR facility, located in the basement of the Natural Science Building. Please visit the FAQ section for more information, how to get started, and both internal and external use charge rates. For time reservations, please click on the facility links to the right. To report a problem with any of the spectrometers, please leave a message at the NMR help Forum.